eBay will roll out managed payments in a second market this year, CEO Devin Wenig said. He said eBay plans to make the announcement next quarter (which covers the period of April - June). Because of the terms of the operating agreements with PayPal, it appears likely eBay will launch in the new market as early as July. 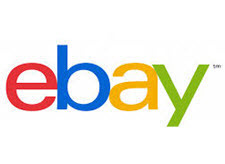 eBay's Chief Financial Officer Scott Schenkel explained that the operating agreement with PayPal allows eBay to intermediate up to 5% of sales (GMV) between July 2018 - July 2019, and 10% between July 2019 and July 2020 across two markets. Remember that eBay has also promised to add PayPal as a payment method for buyers purchasing from sellers enrolled in managed payments this summer, which will make it more palatable to sellers. However, eBay will use its own PayPal account (similar to how Etsy intermediates payments), and eBay will not disburse funds owed to sellers into their PayPal accounts. Wenig told Wall Street analysts that he has rarely seen something that has so many positive benefits for customers, shareholders, partners, and payment providers as managed payments. "There is a lot of goodness to go around with this, and we are really seeing positive early signs." Wenig also said he expects a full rollout of eBay Managed Payments in 2020, which he said could become a $2 billion revenue opportunity for the company. "It's going to get really real after the second half of 2020," he said. Last year, he compared the coming switch to managed payments to a "big bang" rather than a gradual transition. In which market do you think eBay will launch later this year? Once Managed Payments includes PayPal as an option for buyers, will you enroll in the program to save on payment processing fees? It does matter to us at all. Of the five anchor stores we had last year this time we are down to one anchor an one premium. When the weather gets nice its swap meets and garage sales time. By the end of june we will be down to only one store that being a premium store. After the end of summer around October will give the trash company a call and they can collect whats left and take it to the dump. Our days with greedbay will be over. We will delete all bookmarks and block all emails from them. Giving them the middle finger will feel so good. All HELL is going to break out once eBay forces me into their payment program! I live day to day! Not knowing when I can pay for my next meal. Greetings, I have trouble paying for this item, call ebay and they transferred me to PayPal. They tell me that your account has disabled serial payments. They suggest a link to solve the error. Below I leave the link, I wait for your answer to be able to buy. Devin states: "There is a lot of goodness to go around with this, and we are really seeing positive early signs." I just about barfed up my breakfast. If he is "seeing positive early signs," why do they need to beg sellers to enroll? And the "goodness" can only be to eBay's benefit. Obviously, sellers are seeing, or hearing about, the negative early signs. And what's this "really real" stuff? What happened to the normal unintelligible word salad he issues? I haven't heard of any negatives concerning Adyen. In fact the sellers I know who are enrolled in it are receiving way more sales than I am with just Paypal. My guess. The micro-second ebay is no longer required to keep PayPal around, PayPal will be removed completely from any and all payment methods. There will be some 'Great News!' announcement. Allowing ebay that kind of control over one's sales income is very scary. You think they auto refund now. Just wait. Seems Wenig is focused on squeezing money from everything BUT organic sales. That model has to fail. You can't sustain a business by bleeding the players while their income decreases exponentially every year. Never, we'll take our 300k per year in Ebay sales elsewhere if they force us into managed payments and take away PayPal. "...will you enroll in the program to save on payment processing fees?" When I am absolutely forced to do so and that's if I haven't figured out a way to get rid of ebay completely. How long do you think that's gonna last. When everyone is forced into it and paypal is completely gone, fees will go up. And by that time there should be at least two major postal increases and two years of new changes, glitches and bugs with quarterly reports of negative growth. I know, I know, it's a tall order for them to go below their whopping 1% growth last quarter. Is the STRIPE payments option available now ? I'll start selling in a heartbeat as soon as STRIPE. Notice that Derpy can't actually enumerate any of these so-called benefits. I know it's a joke but I might just move my stuff to Bonanza _if_ I maintain an online presence at all. The fact is that a relative handful of live shows are generating more sales and more profit than 24/7/365 on eBay. This is the way the wind is blowing, you either adapt to it or break. Upside: minor fee reduction which will go away over time. Downside: just about everything else. Analysis: helps ebay a bunch but doesn't really do anything for me. @toolguy - Have you started collecting sales tax for sales to California residents? In case you weren't aware, if they catch you not collecting tax, it's a $20,000.00 fine, up to six months in prison, plus you have to pay all the taxes you should have collected, plus penalties and interest. If you're living day-to-day as you state, you should make it a priority to collect those taxes. And since you are always publicizing your eBay ID, and linking to items you have for sale, it's not going to be that hard for the tax guys to find you. @lancecorp Gee-you don't think MAYBE Ebay is promoting those sellers who signed up with top search placement, and maybe buried yours do you? Because I don't see WHY Ebay WOULDN'T want people enrolled in this new system to do much better than YOU in order to assuage you it its going to be just fine using Ayden? Rarely seen. Indeed. In fact, nobody's ever seen it before. And nobody's been able yet to describe the nature of these ''benefits'' except in the form of generalized and wholly unsupported 'claims' for what to eventually 'expect'. Behold, they cry. As in they'll be holden' your funds till it suits 'em to trickle out some. But what should be visible to even the most nearsighted of those currently coerced (sans propaganda blinders) is that the customers are now even more restricted by 'allowable' method, the shareholders are being fed more promises (aka ,,,next year...we promise) yet AGAIN, the 'partners' - who mostly consist of those who converse in Renminbi - have little choice, and the only 'payment provider' who doesn't already not NEED Pay Pal who can possibly benefit IS Pay Pal, who is yet to be included. In fact, the only 'vision' here is eBay's, in typical rosy, self-serving, myopic fashion. You want to bank on that, you deserve what will eventually come into focus. This is simply another money and power grab. @snapped is 100% right. It’s over and possibly for eBay once 2020 rolls around and the captain is out of “fresh” ideas. It just shows you the greed of investors. Are they simply going by what the captain is saying?? Lazy. This is why I don’t invest in anything but myself. Selling on this old antiquated system is over. Once the investors wake up, and they have started, the party’s over. Good luck to the passengers still on the ship.. it’s being steered by a fool. EVERYONE should be very scared of eBaypay. Anyone thats not - is some kind of fool. While each person here has their own reasons - the very fact that theres no "controlling legal authority" over what ebay can and will do with your funds - should frighten everyone. Not that Paypal was some angel - but at least you had a chance - albeit a small one to get some kind of "justice" on the eBay platform. With Paypal out of the way - the field is clear for eBay to run rampant aka wild and crazy. eBay can change its mind AT WILL on money holds. Today they say next day, but what if DW decided tomorrow that 3 days is the "right number"??? Today you dont have to refund liar buyers until you actually get the item back and inspect it (not that it matters as all sellers are liars, thieves and con-men) - but what if DW institutes Autorefunds the moment eBay tracks that the package is on its way back - and you (of course) get a brick back? ANYTHING is possible with the liars in San Jose - and as seen by us all - eBay lies all the time, every day, and even when the truth is better/simpler/correct - they lie anyway. So (the eBay cheerleaders will ask) why are you still on eBay if they are so bad ??? Simply because they are #2 in ecommerce and alot of items that I have are blocked/restricted/constricted (and Amazon is HARDLY an honest broker/better solution). FYI eBay didnt show up at the National Stationary Show, nor NY NOW - if anyone here is going to ASD - please let us all know if/what they did/do. Just look at GM. Layoffs, loses, closing plants etc.. Pretty much since DW got on that board. Has to tell you sosmething. Looks like he took his ebay ways over to GM.